In Penang, you can still get food for lesser than USD1, even if we assume that the exchange rate is MYR3 to USD1. Many things are still highly affordable, which makes Penang still a very attractive place to live despite the rise in housing cost. Land is getting scarce in Penang, and landed properties have become quite expensive in new townships. Developers and builders are selective of the types of houses they build. New landed properties are usually three storeys, and prices are above MYR500,000. Apartments and condominiums are luxurious homes with facilities such as swimming pools, tennis courts, gymnasium and cafe. There are management fees incurred, and the more facilities there are the more expensive it will be. The management fees are not only for the facilities but also for the security. There will be guards on duty twenty-four hours each day and also security passes and devices to control the entry of cars into the block. It is also likely that there will be one entry point to the block, and all visitors need to be registered for more enhanced security. There are not many gated communities in Penang yet, even though it is very popular in Kuala Lumpur. It is likely that the trend will develop, while the state government demands for more low and medium cost housing in the island for more affordable housing. It is not easy for the house pricing to deteriorate in Penang, mainly because of the land scarcity. Food is always a topic in Penang. Many people will agree that Penang is a food heaven where it is easy to gain weight. Food is not expensive, and the vast variety is definitely making everyday a possible day for various cuisines. In fact, Penang Assam Laksa has become one of the top delicious foods in the world, together with other popular cuisines like the tom yum gong of Thailand. Of course you cannot eat Penang Assam Laksa everyday, but there are certainly a lot of delicious foods in Penang. You may wish to have some rice with vegetables, fish, meat and all sorts of gravy at stalls or even some shops that are ethnic centric such as Nasi Kandar. If you are ready to make your own meals, there are a lot of markets or supermarkets where you can choose fresh produce. Morning markets offer fresh vegetables, fruits, meat and fish that are obtained locally, and there are a lot of people in these morning markets. There are also others who prefer to shop at supermarkets for the convenience of packaged and imported produce. Most of those who would like to retire in Penang are probably thinking of the beach front homes or condominiums. There are quite a number of sky scrapers condominiums along the skyline of the stretch starting from Gurney Drive right up until Batu Feringghi. These condominiums are currently mostly occupied by expatriates working in the island or those who are here for the MM2H programme. They may be Caucasians, Japanese or even Koreans, and very often they form a close community among themselves through clubs and activities. 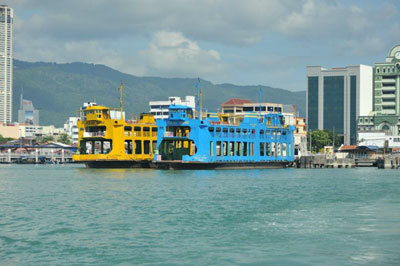 Perhaps the biggest pull factor which invites people to retire in Penang is the affordability. Things are highly affordable, which is going to be helpful for retirement. The pace of living in Penang is also set at a moderate pace which is neither too fast nor too slow, a comfortable pace where people can keep up with and yet not be left behind. Also, communicating with locals are easy. Most locals are able to converse in English, which makes it easy for you when you need to buy things especially. If you shop at supermarkets or malls, the prices are already tagged to the items. You may do well conversing in English, or learn up some local dialects such as Hokkien, Malay, Mandarin or even Cantonese if you wish to be closer to the locals. Together with other factors, Penang becomes a very attractive option for retirement. There are many people who are looking at the option of MM2H. Even if it is just a short engagement, the stay will let you know why people love Penang. This entry was posted in MM2H Guidance and tagged Food, George Town, Georgetown, House, Housing, Low Cost House, Low Cost Housing, Penang, Properties by admin. Bookmark the permalink. Please don’t think I’m just tyirng to copy you, but I really like the styleof this site. Could you let me know which theme are you using? Or was it custom made? You’re actually a excellent webmaster. The site loading pace is incredible. It kind of feels that you’re doing any distinctive trick. Furthermore, The contents are masterwork. you have performed a excellent process on this subject! Numerous many thanks you an awesome offer for this wonderful and very insightful report. Any human being will get pretty great information from this text.superb run sustain it up. I am heading to bookmark this site for arrived once again in foreseeable potential.